Driving speed 5 miles per hour. Do not walk on markers or their granite bases. The grave is sacred --- a loved one's final resting place. 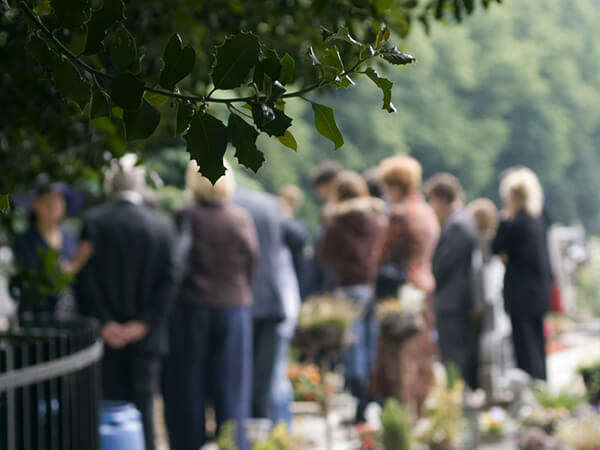 Give other visitors privacy and quiet to allow them to meditate, pray or just visit with their departed loved ones. Turn off car radios when on the grounds. Play music softly on a portable player at the grave you are visiting. Refrain from loud discussions or boisterous behavior when on the grounds. Children require adult supervision. Light NO CANDLES, NO FIRES of any kind. SMOKING ON THE GROUNDS IS PROHIBITED. Absolutely NO ALCOHOL and NO FIREARMS are allowed on the grounds. Violations will be immediately reported to the police. Follow the rules of the cemetery --- they protect you and your loved ones. Only service animals are allowed out of cars in the cemetery. Vandalizing a grave (including the marker on the grave) is a felony offense in the United States. Vandals will be prosecuted to the fullest extent of the law. If any of these rules are unclear to you, or you feel that we haven't touched upon an area of personal concern to you, feel free to call us at 713-991-2313. Naturally, if you are on the grounds and would like to speak with us about any of our cemetery rules, stop by the office to discuss the issue with one of our staff members.